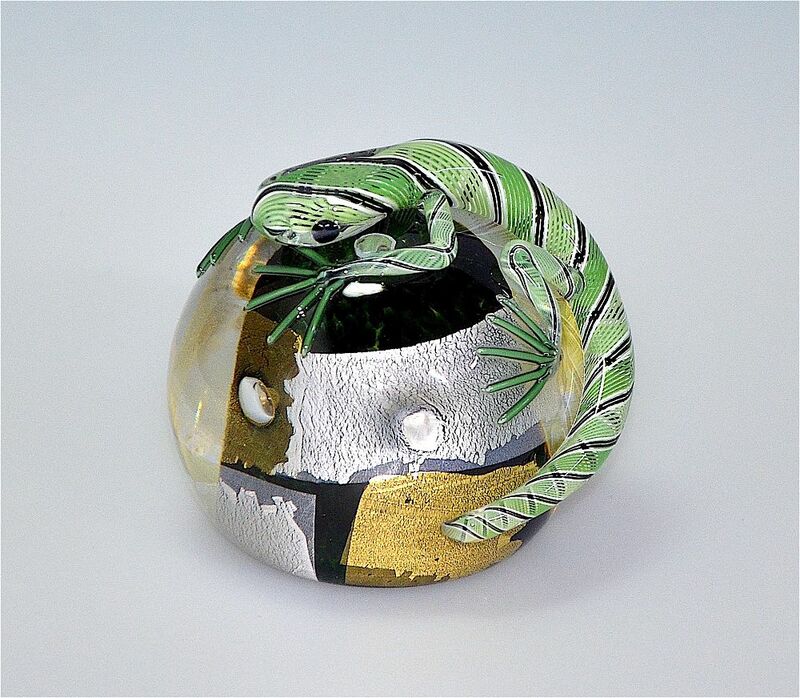 This lizard paperweight was made by Michael Hunter for Twists Glass. The base is a complete orb of glass with a green centre and gold and silver leaf. There is a lizard curled across and around the top of the weight. The lizard's body is a bright green, light green, black & white zanfirico cane, as are the four legs. The lizard's "toes" are green canes. It is signed "M Hunter Twists " and has the Twists Glass Studio label. It is presented in a white studio box. Please note: The base of the weight is an orb and therefore must NOT be placed on a windowsill that has full & direct sunlight as this may cause combustion.